Perhaps the title should have read on the 'Event Horizon', and perhaps BBT nerd +Brad Naylor should be writing this post. Everybody who watches Big Bang Theory knows that Sheldon Cooper is a theoretical physicist, and what better way to spend your down time than playing a game which is based entirely on understanding and interacting with physics? The concept of the game is simple, you build a tower out of wooden blocks and then take turns to remove a block from the lower portion of the tower and replace it at the top of the tower without causing the tower to tumble. 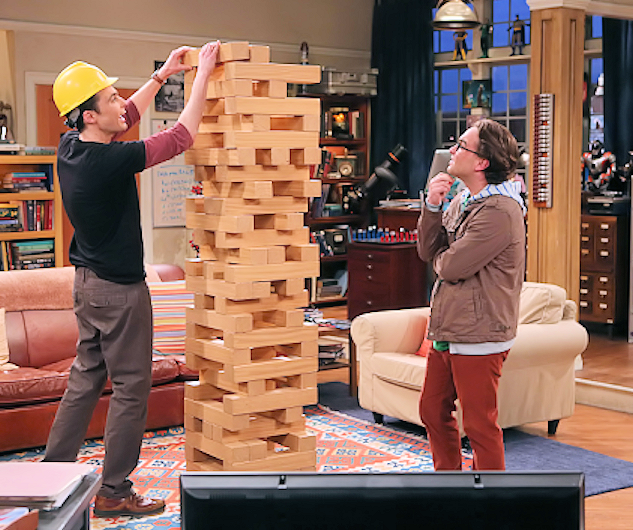 While this may sound a little like Jenga®, the difference is notable. With each move, the player must display a lack of social skills punctuated with a sarcastic, intellectual put down, for example "'Not knowing is part of the fun.' 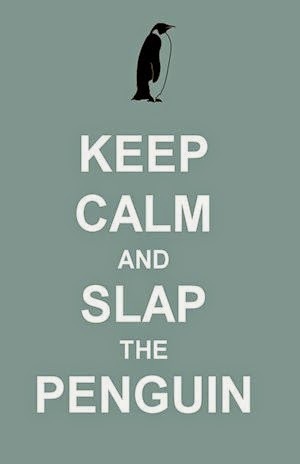 Was that the motto of your community college?" 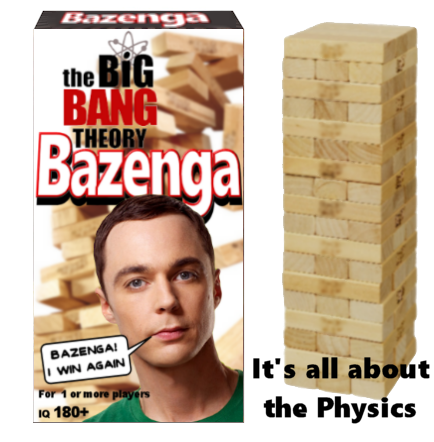 Sheldon Cooper is, of course, a master of Bazenga, and of all similar don't-collapse-the-wooden-block-tower games and you will need to practice very hard to beat him. And beat him you could since there is a plan in place to have a national Bazenga contest next year in which regional finalists get the chance to play against Sheldon Cooper himself. On top of that, the overall winner could appear as an extra in the comic book store in an episode of The Big Bang Theory. BAZENGA!